Elk Grove car crash – An Elk Grove car crash between two vehicles resulted in an injury to one woman. The collision occurred on September 11, 2018, during the morning hours along State Route 99, according to the California Highway Patrol (CHP). The vehicles were moved to the center divider to lessen the effect on traffic in the area. The CHP will be conducting an investigation into the Elk Grove car crash to determine what caused it and how to assign fault. The collision occurred shortly after 10:00 in the morning along Route 99 heading eastbound just north of the Grant Line Road on-ramp, which is northwest of the Cosumnes River. It involved a GMC SUV and a Lexus sedan. It was an individual in the sedan who suffered injuries in the crash. The Sacramento Fire Department was called to the scene to attend to her injuries. It is unknown at this time whether the injured person was transported to a hospital for evaluation or was treated at the scene of the crash. 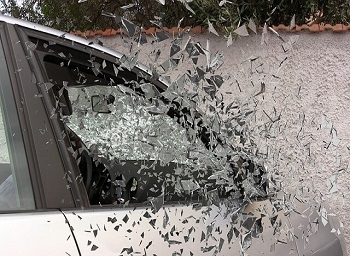 According to the California Office of Traffic Safety, which compiles records of crash accident injuries and fatalities, there were 827 individuals either hurt or who died in car crashes in 2015. These statistics represent the latest year that was compiled in California. 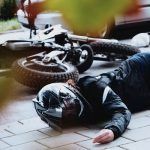 That same year, 69 of the accidents involved drunk drivers, 16 of the crashes were to motorcycle riders, 31 were to pedestrians and 48 involved bicyclists. Speeding was determined as a factor in 189 car accident injuries and fatalities. Head-on crashes: Head-on collisions often result in more deaths and serious injuries among all types of accidents. This is because they commonly occur on highways or freeways where vehicles are traveling at higher speeds. They can also happen at intersections, on one-way streets or when a driver makes a U-turn. Drunk or drugged motorists and wrong way drivers are among the reasons these types of collisions happen. Single vehicle collisions: This type of accident accounts for a high percentage of all traffic collisions. Reasons for a single vehicle car crash can be numerous, including fatigue, drunk driving, distractions such as talking or texting on a phone or eating. Single vehicle collisions often occur on straight stretches of road that the driver is accustomed to traveling on. Rear-end accidents: Inclement weather, inattention, tailgating and distraction all contribute to rear-end collisions. 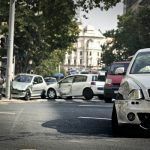 These types of accidents often happen at intersections or in heavy freeway traffic when a vehicle up ahead stops short or slows down suddenly. T-bone or side-impact crashes: Intersections are where this type of accident occurs often. It happens when a driver runs a stop sign or red light and crashes into a vehicle passing legally through the intersection. Parking lots are also places where this type of collision happens. In addition to speeding and other forms of reckless driving, distraction by the driver can cause this type of car accident. Rollovers: A rollover can cause severe injuries, particularly if occupants of a vehicle are not wearing seat restraints at the time of the collision. Driver behavior, road conditions and certain types of cars such as SUVs, vans and pickup trucks can contribute to a rollover. I’m Ed Smith, an Elk Grove Car Accident Lawyer. 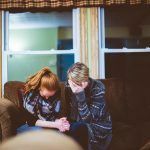 When you or your loved one is left with accident injuries because of a driver who was negligent, medical bills mount, time is lost from work and other expenses can cause a financial crisis. Call me at (916) 694-0002 for free and friendly advice in the Elk Grove area or at (800) 404-5400 from elsewhere in Northern California. 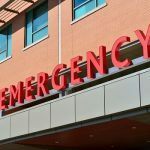 Over my long career as an injury lawyer, I’ve helped numerous Elk Grove residents and other Northern Californians to obtain fair compensation in many types of car accidents as well as brain injuries and wrongful death cases. I am a long-time member of Million Dollar Advocates, a group of top trial lawyers who have garnered a settlement or verdict for a client for more than $1 million.